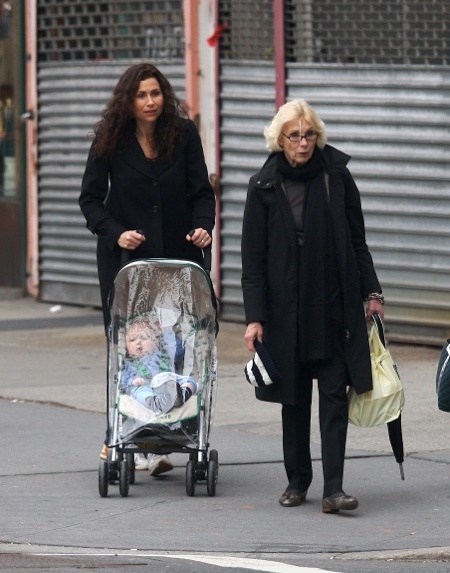 Minnie Driver braved the cold while out for a walk with her son Henry and a friend in NYC. The stylish mom pushes a Limited Edition MacLaren Lacoste Stroller. Thankfully her stroller has a weather cover to keep Henry warm from the wind.